TalkTalk, Britain’s fastest growing TV service brings box office hit has revealed that box office hit The Lego Movie is now available to its one million TV customers. The first ever full-length Lego adventure is available to both TalkTalk’s Plus and Essentials TV customers to rent for 48 hours for £4. The movie, which was a huge cinema success, generating over £240 million worldwide, is available on the same day as DVD ensuring fans don’t have to wait to enjoy the hit. 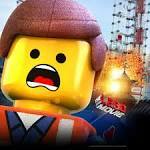 The Lego Movie is just one of the many pieces of top-flight content available on TalkTalk TV this summer. TalkTalk will also be launching free ‘Tasters’, allowing customers to view popular channels typically included in paid-for Boosts. The first of these tasters will launch on the weekend of 1st and 2nd August where the Disney Channel, Disney XD and Disney Junior will be free to watch all weekend.